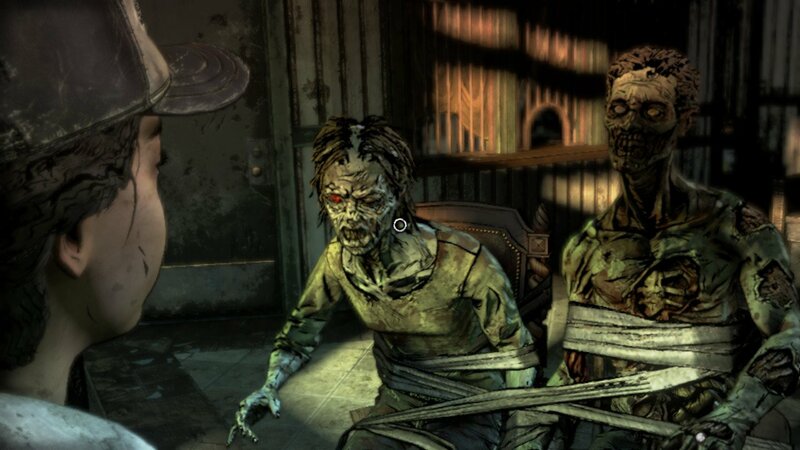 In looking at the past six years of Telltale Games, there hasn’t been anything as moving as its initial season of The Walking Dead. Its emotional plot mixed with some sadistically difficult choices and light point-and-click mechanics were all the rage back in 2012, and the whole experience affected me long after I set it down. The surrogate parental relationship between Lee and Clementine was one of the strongest and saddest I’ve seen in a video game, and I was floored at how well Telltale Games shaped it. While the next two seasons were of mixed quality (with A New Frontier shifting away from Clementine’s perspectives in favor of season protagonist Javier), I always had hope that the game would go back to its series’ roots. It seems that Telltale Games has heard its fans, as the first episode of its final season is a great opener to the conclusive resolution of Clementine’s story. From the get-go, you’re thrown into a brief primer of the last three seasons of the game, with your decisions (or save file) determining how the flashbacks play out. It seems that Telltale really wanted to brush A New Frontier to the side, as there’s only one real decision within the flashback sequence. Dropped into the game proper, we get to see Clementine, now a young adult, driving with AJ, a young kid born into the bleak world in season two. After unsuccessfully obtaining some food, they are whisked away to Ericson’s School for Troubled Youth, a place that’s been a safe haven for a ragtag group of teenagers. After getting situated, Clementine and AJ have to face the new reality of their shelter, along with some ominous figures introduced and the ever present threat of Walkers roaming around the place. School leader Marlon assures the two that they’re safe, but when has that ever come true in The Walking Dead universe? Like previous seasons of The Walking Dead, The Final Season puts you in direct control of Clementine as she interacts with characters and other items within the setting. While it’s mostly a linear experience, there are some collectibles that you can obtain which add some replay value if you’re into decorating your in-game room. There will also be quick-time events where you’ll have to move the control stick or press buttons at different times in a scene; unlike the first two seasons, where technical errors caused me to fail out QTEs, this season was more relaxed with its timings and didn’t bug out on me. I did enjoy the improved systems here, and inputting buttons to defend yourself is more stable than previous entries. It also has one of those scenes where you have to retrieve keys from a Walker! AJ is a different child, however, and his naiveté of a world without walkers mixed with the brutal upbringing to which he was forced to acclimate will cause you to react differently in situations from those comparable to kid Clementine’s in season one. It’s a bit depressing to see how he has had to immediately grow up in order to remain unbitten, yet still carries that childlike charm of a grade-schooler. He’s a better shot than other kids his age, carrying a gun from the very beginning of the episode, and needs work to trust others within the school. This aspect of the story was one I enjoyed the most, and does lead to some heartwarming moments; one example was when AJ lets out an f-bomb early in the game, and Clementine can either repeat it or tell him to use a lighter word. Whatever you say will carry through the rest of the episode, as he repeats your actions. Other than AJ, you’ll have a supporting cast of characters to interact and form bonds. From the gregariously charming Louis to the shyly warm Violet, there is a well-rounded cast here. There are nearly a dozen characters within the episode, and while that might seem like a daunting number to introduce, the fact that this episode is longer than usual (clocking in at just under three hours or so) means there’s more time to flesh out minor characters. On the flip side, this being set in The Walking Dead universe, there’s always the thought of not getting too attached to any one character just in case he or she bites it. While not giving too much away in terms of narrative spoilers, I did think that the first half of the episode felt a little slow to build up, with most of the scenes after the introductory sequence being conversational pieces with established main characters rather than the minor ones. It also doesn’t help that a lot of the more important choices in the episode were squarely in the second half, though the last thirty minutes of the episode are worth it. There is an antagonistic force that is set up to appear in future episodes, which I’m excited for, but can’t help that it might retread on season two territory. Finally, I do want to talk about the Switch version of The Final Season, as it’s the platform on which I played the game. Put simply, it works well, even on handheld. I was worried that it would suffer from graphical or gameplay downgrades because of the newer engine improvements, but the porting job is done pretty well. While there are some framerate dips and noticeable muddied textures when the action gets heated up, they’re leaps and bounds better than the PlayStation 3 seasons, and the fact that you can play this portably is a very nice touch. (I know that the PlayStation Vita had previous seasons of the game, but the larger screen on the Switch makes for a cool mobile movie experience.) The control scheme works perfectly, and button prompts were clear and easy to see. The Walking Dead: The Final Season’s opener is a remarkably solid beginning of the end. Done Running’s return to the first season’s narrative structure is masterfully combined with a fine cast of characters and potential friendships. This is one series that I’ll miss, but has the potential to go out with a bang.